If having a computer that is capable of multi-tasking is important to you, then you might be interested in the Acer Aspire T3 AT3-715A-UR12. It offers the power that desktops are known for, with enough versatility that you can easily switch out or upgrade components. Its appearance is clean and sleek, yet not overly flashy. There is enough graphics and processor power to run a lot of games on high settings. One neat feature of the Aspire T3 is its intelligent wireless charging system, which is built into the top cover. If you have any device that supports the technology, such as newer models of smartphones, simply place it on the tower and pick it up after it has charged. For devices that do require wired charging, there are a variety of USB ports, including those with 3.0 USB technology, which is ten times faster than the speed of 2.0 USB technology. Have the PC equipped with the 6th generation Intel Core processor of your choice, up to an i7 model with a speed of 3.40GHz. There is room for a dedicated video card, and the starting configuration includes an AMD Radeon RX card (480) with a 4GB memory capacity. Play all of your favorite games smoothly without having to worry about getting lag or disconnected. There is no need to use the system memory to run your favorite multimedia processes and games. 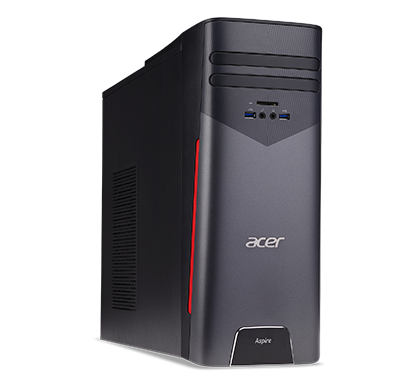 Speaking of which, there is 16GB standard memory with the Acer Aspire T3 AT3-715A-UR12, which can easily be upgraded to 64GB. All of your RAM needs will be taken care of over the next five or so years. Storage won’t be a concern either, as you get at least 2TB of storage space in the Serial ATA / 300 drive. Also included is a DVD-writer optical driver for backing up your favorite programs, films, files, CDs, etc. Expand your storage if you require more than a 2TB hard drive, although that’s certainly more than enough for most users. Go up to 3TB and add a solid state drive if you need it. The machine has more than just useful internal components – the exterior s nice as well. It looks stylish in any work area or room. Not only are there attractive visual elements, the tower also comes with essential ports and connectivity. As mentioned above, it comes with a variety of USB ports (8 altogether). You also get RJ-45 technology, HDMI, DVI, and a DisplayPort. 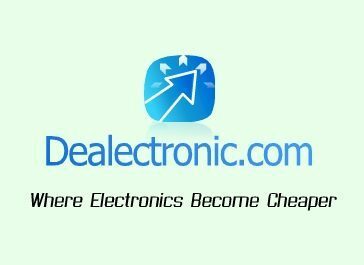 The Acer Aspire T3 AT3-715A-UR12 offers a lot of performance and value for its price, and you can even get it at a discount price if you order online. It’s very important to check a Acer Aspire T3 AT3-715A-UR12 promo code or coupon out before using it to make sure it hasn’t already expired. Make sure you get all of your Acer discounts through a reliable, trustworthy source.